Afro Hair Products Outlet are delighted to present the famous Macadamia Deep Repair Hair Masque- 30 ml. With so many available these days, it is good to have a make you can trust. 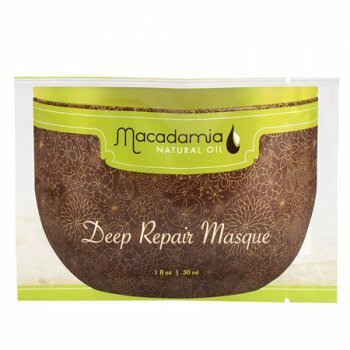 The Macadamia Deep Repair Hair Masque- 30 ml is certainly that and will be a great buy. For this price, the Macadamia Deep Repair Hair Masque- 30 ml comes widely recommended and is a regular choice amongst lots of people. Macadamia have added some excellent touches and this means good value for money. Macadamia Deep Repair Masque is a revitalising hair reconstructor for dry and broken hair. A combination of macadamia and argan oil in addition to tea tree oil, chamomile oil, aloe and algae extracts renew and reconstruct the hair, leaving it deeply nurtured for enhanced elasticity and shine with long-lasting conditioning advantages.